Because it’s so accessible in the region, rock climbing is one of those sports most Northern Colorado residents have tried at least once — whether inside or out. Multiple gyms, natural locations and local resources make it easy to pick up as a hobby. Just minutes from Fort Collins, the most well-known spots for outdoor climbing and bouldering are located in Poudre Canyon, on Arthur’s Rock in Lory State Park, and around Horsetooth Reservoir. Offering both bouldering, rock climbing and sport climbing, there’s something for everyone and every skill level. If you’re looking for expert tips, we recommend checking out Northern Colorado Climbers Coalition. This local organization serves to promote and preserve climbing in Northern Colorado. As the climbing experts in the region, they’re the best local resource to find guides, education, safety tips and more. They publish in-depth guides to specific climbing destinations, host regular public service projects in those areas, and offer a variety of community-building educational programs. If you want to start with the basics and learn more about our local climbing gyms and outdoor destinations, keep reading! John Gill, the Father of Modern Bouldering, is known as the man who popularized the sport — and it all started right in Horsetooth Reservoir! The most popular place, with routes for everyone from beginner to expert, is Rotary Park. Overlooking the water on the east side of the reservoir, you can climb about 15 routes, including the popular Bolt Wall and the challenging Pinch Overhang. Other spots within Horsetooth include Duncan’s Ridge and the Torture Chamber which offer a few top roping options as well. To download the Northern Colorado Climbers Coalition Horsetooth Reservoir Guide, click here. Poudre Canyon is a mecca for climbers and boulderers of all skill levels. For the experts, it’s home to Circadian Rhythm V13 which is the hardest bouldering problem in the region. Overall, the canyon offers an even split of sport climbing and bouldering with a small slice of traditional and very little top rope. NCCC offers a Poudre Canyon Route Climbing Guide, a Poudre Canyon Bouldering Guide, and a Poudre Falls Climbing Guide which focuses on the Poudre Falls area of Poudre Canyon. One of the most well-known places for bouldering in all of NoCo, Arthur’s Rock is located just minutes from downtown Fort Collins. Mostly a granite conglomerate of several rock types, it offers more than 100 problems for boulderers of all skill levels. Development of the area began around 2000, but most recently, NCCC worked together with Lory State Park on the Arthur’s Rock Fixed Anchor Initiative which replaced old fixed anchors and established new routes. See the updated guide from NCCC here. Carter Lake Reservoir, located just west of Loveland and Berthoud, is another hotspot for bouldering. With around 20 routes total, you’ll find challenges that rank from intermediate all the way up to expert. One of the most classic and beloved routes in the area is Kahuna Roof, an intermediate V5 located on the steepest overhanging side of the Kahuna boulder. For more details on Carter Lake bouldering, check out this resource from Mountain Project. The most classic climbing destination in the Red Feather Lakes area is the pristine Grazing Allotment Crag. NCCC even calls it the best crag in all of Red Feather Lakes. Offering both traditional and sport climbing routes, it was most recently developed in 2012 which created more lines and a better, more varied grade range. Download the NCCC Grazing Allotment Climbing Guide here. Nestled between Loveland and Estes Park, Big Thompson Canyon offers a bit of every style of climbing — even two aid climbing routes — but is mostly a destination for traditional and sport across gorgeous granite and gneiss crags. However, with over 400 routes total and various types of rock, everyone can find a challenge in the area. For more details and specific routes, check out this guide from Mountain Project. Ascent is a next-generation climbing gym in Fort Collins. The team is focused on creating a unique indoor climbing experience and building an inclusive, friendly climbing community so there are plenty of opportunities to learn more outside the gym as well! The jaw-dropping studio offers bouldering with 13-foot to 15-foot tall sections and some top-out, top rope and lead climbing walls from 34-foot to 49-foot tall, and speed climbing. You can also practice yoga or get your heart pumping in a fitness class! Inside the Miramont North gym, you’ll find the beloved Miramont Climbing Gym. They have specialized courses for kids, adults and even group reservations for parties. Their team is made up of climbing aficionados and is filled with passion — all to help you get on the wall and reach the summit. One of the finest small gyms in the country, Estes Park Mountain Shop offers over 4,500 square feet of climbing terrain including a 600 square foot bouldering wall. Open year-round, the team changes routes often so you can always try something new. They also offer daily, monthly and longer passes for both individuals and families. Beginners can purchase the $30 Introduction to Climbing Package which provides instruction for basic equipment, knot tying, proper belay techniques and safety procedures. The climbing wall at Fort Collins Club features self-belaying devices, color-coded routes that are periodically changed, and 35 feet of varied terrain. First-time participants must go through a brief orientation during supervised hours on Tuesday, Thursday or Saturday, and will then receive a certification card to use when checking out harnesses during open climb hours. The Rock at Greeley Recreation Center is open during facility hours for bouldering practice. Frequent special events and experienced instructors are available to help you learn, and you can even rent shoes, a chalk bag and more! Primarily for use by those affiliated with UNC, the Campus Recreation Center also offers $5 daily guest and visitor passes. 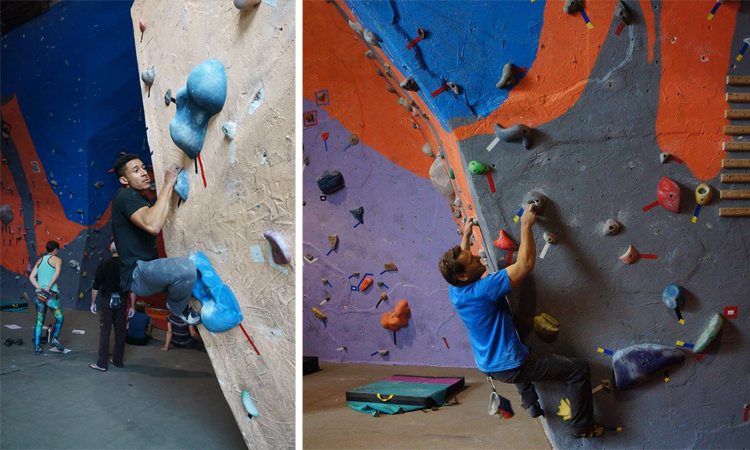 The indoor climbing wall offers an impressive setting for bouldering and climbing practice. Regardless of experience, all first-time patrons must participate in a 15-minute orientation and then are welcome to climb during Open Climb hours. Anyone affiliated with Colorado State University has an opportunity to get a membership at the Student Recreation Center. 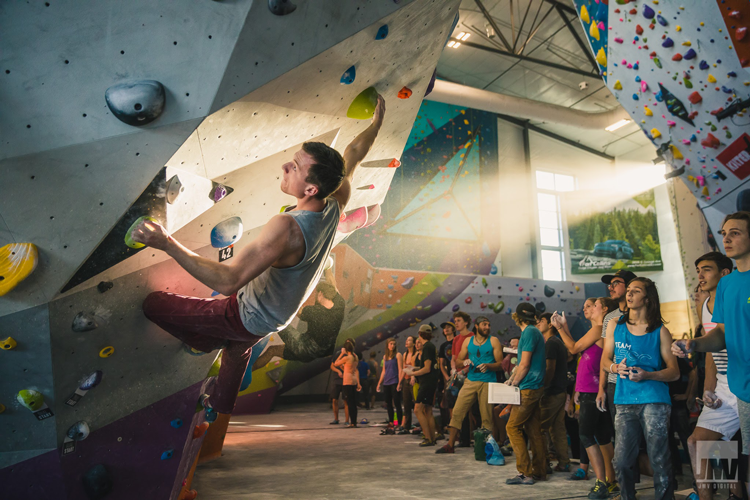 Renovated in 2010, the climbing facilities include 55 linear feet of bouldering, two free-standing towers for roped climbing, and an outdoor, free-standing boulder. 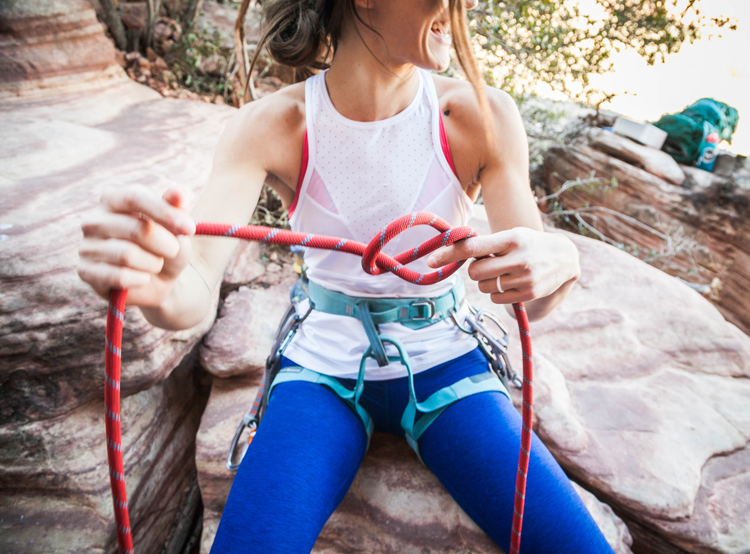 If you’re a NoCo climber, share your favorite places, gyms and local resources in the comments below!